On the 27th July 1689, Scottish Government forces under the command of General Hugh MacKay of Scourie are defeated by a Jacobite army, loyal to the deposed King James VII/II, commanded by John Graham of Claverhouse, at the Battle of Killiecrankie, south of Blair Atholl in Perthshire. In the space of 20 minutes, some 2,700 men lay dead or wounded on the braes. 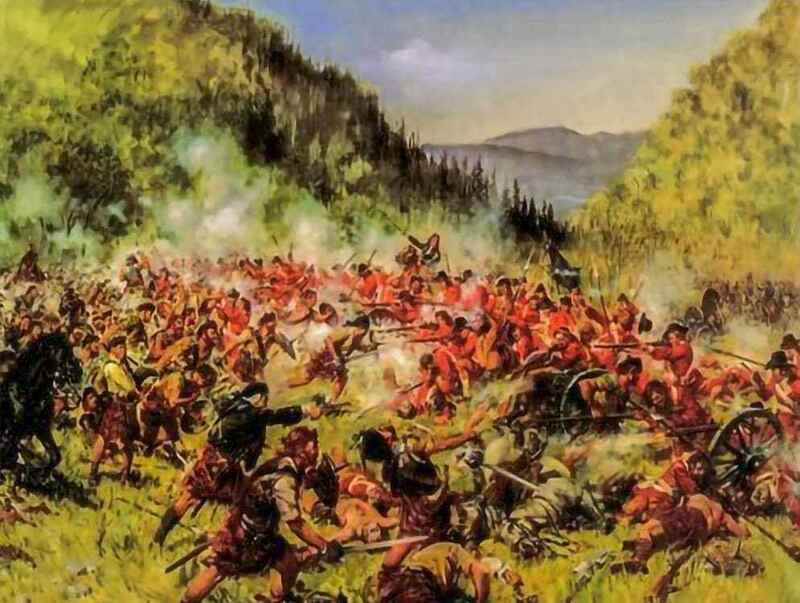 Although a large portion of the Government force was swept away in the face of the Highland charge, a couple of battalions on the Government right stood their ground, and led by MacKay himself, retreated from the field in relatively good order, making their way to Stirling. Claverhouse was wounded leading the charge towards the centre of the Government line and died shortly after the battle. It is said he was finished off by someone on his own side as he lay injured, other accounts state he was carried from the field still alive but died a short time later. With the death of Claverhouse, the Jacobite rising of 1689 suffered a serious blow. 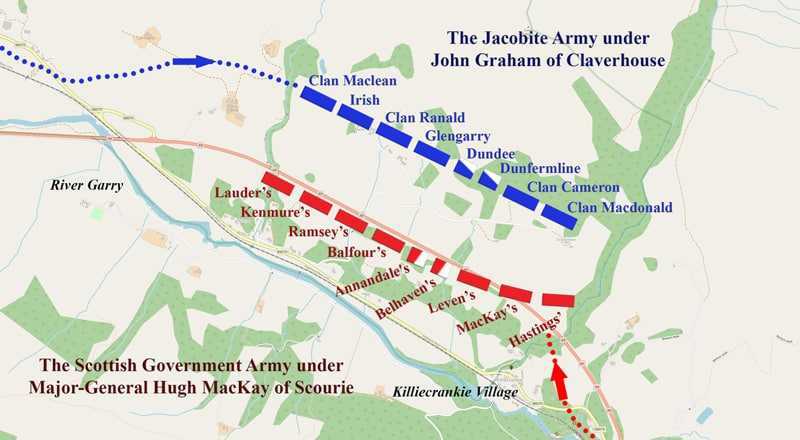 The following month the Jacobites, led by Alexander Cannon, were defeated at the Battle of Dunkeld. Notes: A contemporary name for the battle was the Battle of Renrory (or Ranrourie as mentioned in General Roy’s map c.1750), which was the name of the house and grounds where the battle was fought. Renrory House (now Urrard House) was where General Hugh MacKay established his headquarters before the battle. Renrory derives from the Gaelic, Raon Ruairidh, meaning Rory’s Flat Field. The name Killiecrankie derives from the Gaelic, Coille Chneagaidh, meaning Wood of The Aspen.